Moonstone jewelry is fantastic, elegant and mysterious. There are hundreds of stories surrounding this gorgeous gemstone because of its unique shine. Indeed, moonstones cannot be compared to any other precious or semi precious stones when it comes to how they look. It is only natural for you to want to wear moonstone jewelry and own a couple of unique jewelry pieces. But what should you look for when buying moonstone jewelry? Well, you have to read further to find out and discover important buying tips about moonstones. In the past, people believed moonstones to have magical properties. From protecting people from harm and bringing good luck to mending broken hearts and increasing telepathy, there is a whole universe of folklore surrounding the moonstone. Why is that? Well, because of this gemstone’s luminescence. As opposed to any other gemstone, moonstones don’t get their brilliance from reflecting light in the traditional way. Rather, they seem to glow from the inside and this subtle yet mysterious brilliance has given them their name. The scientific explanation is that the internal layers of a moonstone reflect off each other, making it seem like the glow is coming from inside. Well, in fact, it is, but there is an explanation for that. However, if you prefer the legends and myths, we could say that moonstones are magical. After all, there is no other gem that acts like that when exposed to light. When it comes to choosing the perfect moonstone jewelry, there are some factors to take into consideration. Most of the times you fill find moonstone jewelry with a polished cut and no facets. While it is true that you can also find faceted moonstone jewelry, it is better to choose a polished stone. Why is that? Because a moonstone is a rather soft gem that scratches easily. A faceted moonstone piece will be harder to repair and polish in case you scratched it. This is why we recommend buying polished moonstone jewelry. How much does moonstone jewelry cost? The answer to this question depends on the metal and the moonstone variety. Of course, a moonstone in a platinum ring will cost more than a copper ring featuring a moonstone. But the metal isn’t the only factor in this equation. While milky white, peach and silverfish moonstones are easy to find on the market, other varieties are rarer. Pale blue and rainbow moonstones are the rarest types and you can expect to pay a little bit more for them. Generally speaking, moonstone jewelry costs around $100, depending on the jewelry type. However, for vintage or antique moonstone jewelry, expect to pay at least $1,000. What type of setting is best for moonstone jewelry? While a beaded necklace or a pair of dangle moonstone earrings don’t need a setting, when it comes to bracelets and rings, you should carefully consider the setting. As we said in the beginning, moonstones are rather soft gems and, if you are not careful, you can easily scratch them. This is why your moonstone ring is ideal if it features a bezel or a flush setting. These settings are the ones that protect the gemstone the most. And while some women don’t like these settings because they cover a lot of the stone, toning down its brilliance, this isn’t the case with moonstone jewelry. Its glow coming from the inside, it doesn’t matter whether it is set in a bezel or a prong setting. It will still maintain its mysterious and romantic glow. 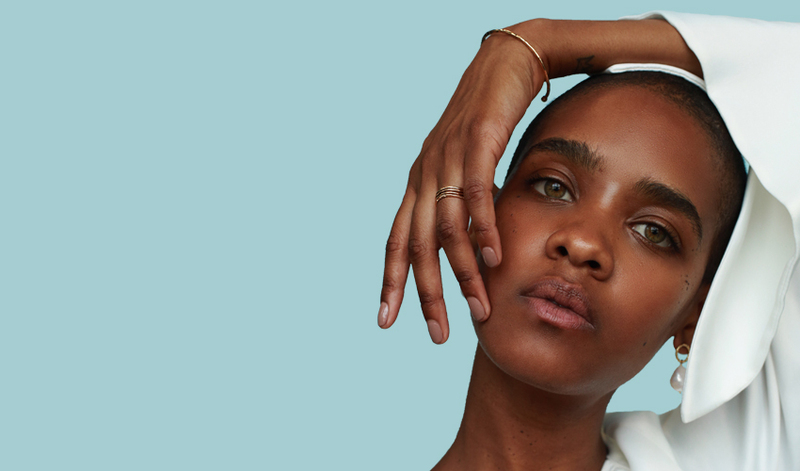 Since Ana Luisa is a brand of uniqueness and creativity, we couldn’t miss the opportunity of featuring some gorgeous moonstone jewelry pieces. This gorgeous piece of moonstone jewelry features the gem in a flush setting, protecting and emphasizing it at the same time. 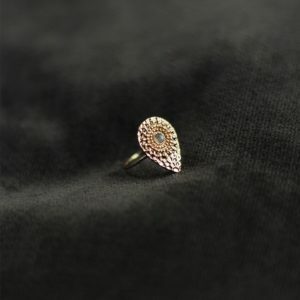 Dipped in 14k gold, this moonstone ring enhances the style of the wearer. And because it is chic and subtle at the same time you can wear it to both formal and casual events. If you want to get some style ideas on how to accessorize this ring with your other jewelry, check out our Arti moonstone bangle below. Just like the Janet moonstone ring, this elegant bangle is dipped in 14k gold and looks fantastic with both formal and casual outfits. The moonstone gems are placed in a subtle position where they exhibit their mysterious charm and glow beautifully. If you enjoyed reading this article and finding out more about moonstone jewelry, read our other articles as well. We promise you will find very interesting information about jewelry that will help you become an expert in no time. 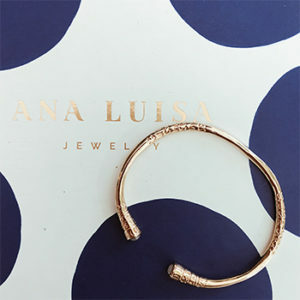 To view more of our unique jewelry collections, we invite you to visit Ana Luisa online jewelry shop.